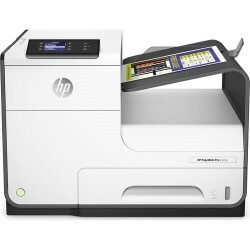 Replace your empty HP PageWide Pro 452dn ink cartridges and start printing again. Designed to be an affordable substitute for genuine name-brand cartridges, our discount ink cartridges offer tremendous value without sacrificing quality. To ensure premium output on every page, we test all of our ink cartridges for HP PageWide Pro 452dn printers for performance and print quality. We offer a comprehensive 1-Year warranty and 100% satisfaction guarantee on all products. In the unlikely event that you experience any product defect, we will replace the cartridge or provide you a refund. Sign up for the latest discount coupons!